All you need to do to be ready for a car lockout in Calgary is hold on to the telephone number of our locksmith company. If you do, you can be sure that should you are ever locked out, assistance will be sent your way as soon as you call us. That’s of the essence. Even if the surroundings are not threatening to your safety, you will still need a pro to unlock the door of your car and do the job in a proper and quick way. Wouldn’t you? Prefer to trust the job to us. We send out Calgary locksmiths that have the skills and tools to open locked car doors and trunks in a pro way. 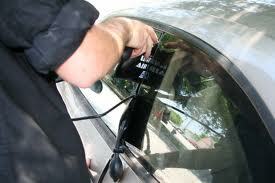 One call to Locksmith Calgary will be all you will ever have to do to get back to your car. If you shut the door and then realize that the car key is locked inside, don’t panic. Call us. If the key is locked inside the trunk, don’t try to open it. Call our company. It’s never easy to unlock cars due to their complex locking system. And that’s not recommended either because such systems can be easily ruined if they are not handled in a proper manner. We work with experienced locksmiths that have knowledge of all car keys and locks irrespective of year, brand, or make. 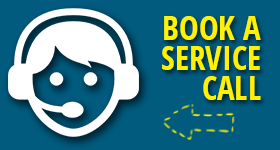 With us, you get fast and trusted car opening service in Calgary, Alberta. Did your car lockout happen due to transponder key problems? Did it occur due to damaged locks? Whether your car key or locks are giving you troubles, call us. If the car key is lost or damaged, trust that our company can help in multiple ways. Our experience allows us to know that vehicle lockouts happen for all sorts of reasons. And so, we send pros to address any concern. From simply unlocking the car to programming the chip key, you can put your trust in us. We are an emergency company and cover 24 hour car lockout service needs. Irrespective of the day and time the lockout happens, contact us with the assurance that a pro will be there for you before you know it. Take measures today to be ready tomorrow. Save our phone number right now and never hesitate calling us for Calgary car lockout services.